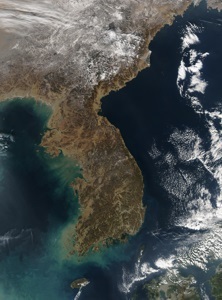 Cheondoism Followers - What many Cheondoists are there? Where do they live? With its Korean origins, the countries with the largest populations of Cheondoists are undoubtedly North Korea and South Korea. As of 2005, the South Korean government gave a figure of 1.1 million followers of the religion living in the country, and there being 280 churches. As with many aspects of North Korea , information about Cheondoism in that state is hard to come by or verify. Official North Korean statistics give the figure (as of 2000) of there being 2.8 million Cheondoists in the country (12.9% of the population). Independent religious activity is not tolerated by the North Korean government, so it is likely there are few actively practising Cheondoists in North Korea. Although there is a nominal independent Cheondoist Chongu Party that participates in North Korean politics, the party leadership is appointed by the North Korean government, and the party always supports the ruling Worker's Party of Korea on all issues.